A small vanity can make a big impact. 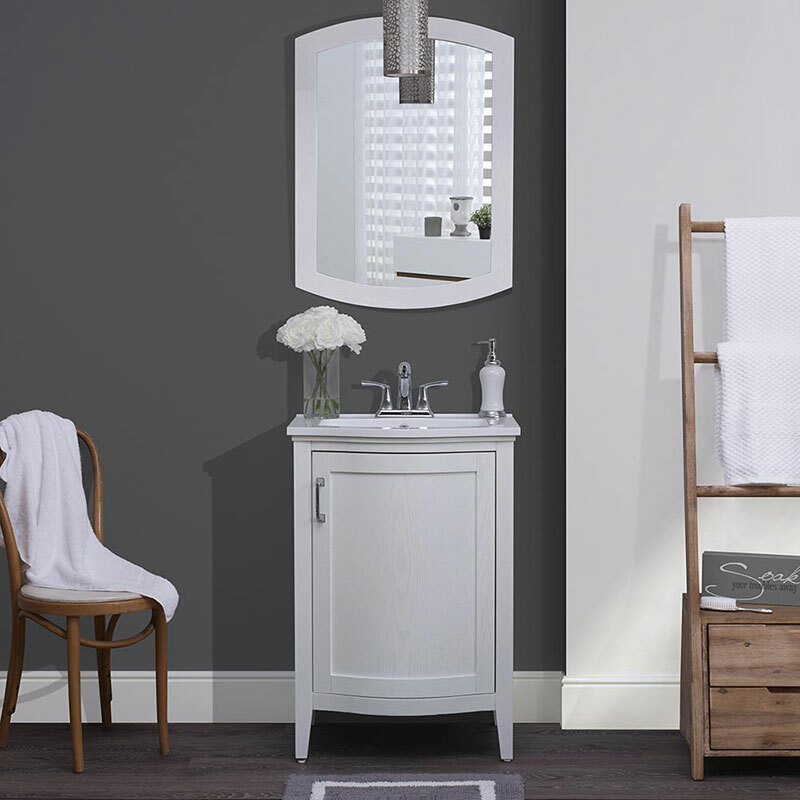 The Vail 24″ Vanity Combo blends a sleek design with a trendy white oak finish to fill your bathroom with high style. This vanity combo makes installation simple with an included cultured marble integrated sink top and adjustable leg levelers. The Vail vanity maximizes storage space with a large interior cabinet space, and one interior adjustable shelf. Featuring tapered legs, a curved front, and a chrome handle, the bold and unique design on the Vail Vanity will elevate your bathroom to the next level.